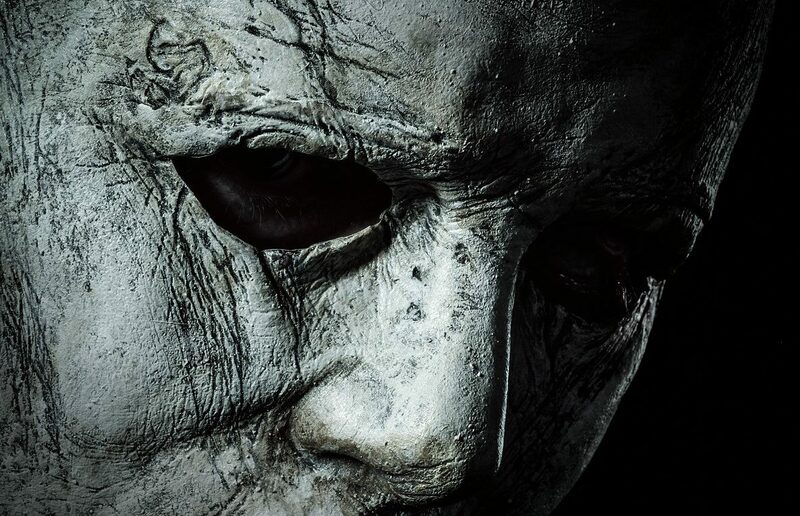 Our first look at Michael Myers and his new mask has just arrived in the official teaser poster for the new Halloween movie! Check out the first official poster and our first look at The Shape below, and let us know what you think in the comments. John Carpenter is executive producer and is expected to score the film, joining forces with cinema’s current leading producer of horror, Jason Blum (Get Out, Split, The Purge, Paranormal Activity). Inspired by Carpenter’s classic, filmmakers David Gordon Green and Danny McBride crafted a story that carves a new path from the events in the landmark 1978 film. Halloween will be distributed worldwide by Universal Pictures, arriving in theaters exactly six months from today, on October 19.